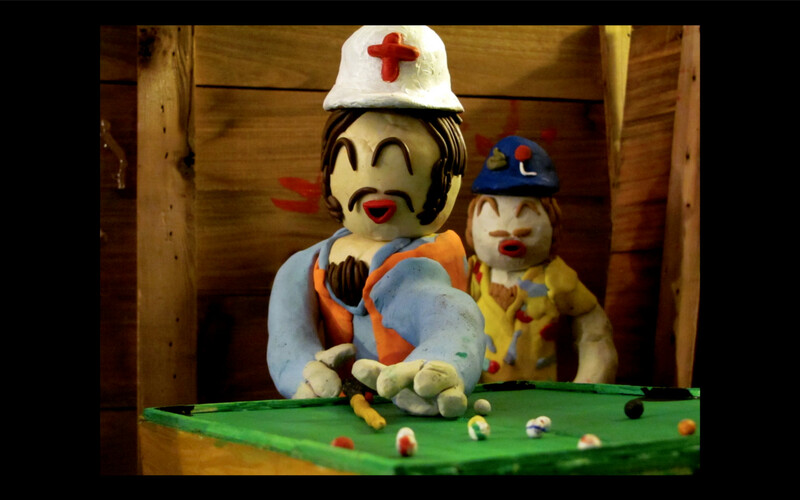 Zinnicimo: I have been creating independent stop-motion and live-action short films since 2009. I like to view each project as a stepping stone in my evolution as a filmmaker. I had an active imagination growing up and am very lucky to still have it as an adult. In college I started illustrating different characters in abstract worlds and writing stories about them. 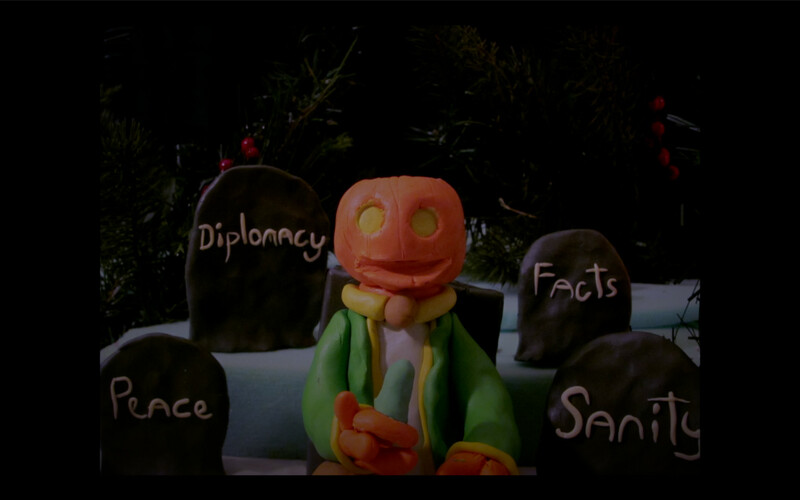 Soon after I realized I could put life into these stories, using stop-motion animation, I haven’t stopped. For me, cartoons/animation is the best format to convey the stories I want to tell on screen. I can stretch the limits of reality and push viewer’s minds past the limit of their own imagination. Production of my animations is all done by myself. When building the script, set, and characters I love to have background music. Sometimes I break into dance or sing along to the music as I’m moving from taking pictures and setting up the shots, it helps take the frustration out of keeping the shots clear and consistent. It’s a very relaxing and often an energetic process. Eventually I’d like to eliminate this process for myself and work with a production team. FAME: What was your inspiration for your short films? Zinnicimo: “Doragon no me” is the product of a real life misfortune. I had just quit my job and was trying to transition to working in film. I responded to a job listing for an assistant producer to an upcoming horror film. To make a long story short; after I interviewed and was told I got the job, I found out it was a scam. This “con-artist producer” set up shop in a real studio and tried to take people’s personal information (social security number, banking info, etc) with no intention of producing films. Not only was I angry but I was also hurt. It happens that I am a fan of the mid 20th century Japanese Film scene, and I spent the next 24 hours awake, binge watching Akira Kurosawa Films. I realized that taking a course of revenge might not be the best course of action for me, so I decided to synthesize my emotions into this film. 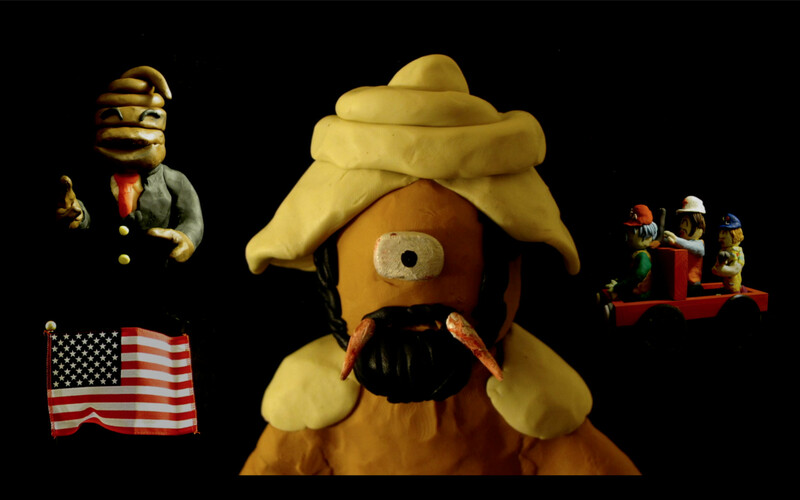 “Harvest Tales: A Deplorable Story” is modern day political cartoon as an animated film. I got my undergrad degree in History and wanted to finally use it in a creative manner. This is not only an artistic interpretation but a time stamp about what is currently happening in America. After listening, reading, and seeing the rhetoric in the media, I decided to explore the question: “What would America look like if everyone took the President’s words at face value?” I recorded “Harvest Tales” with musicians: Brandon Schlia, Jordan Jones, Nick Randall and Scott Mancuso at Schlia’s recording studio in Buffalo, New York. Each song has different energy and imagery which made for a really cool way to intertwine the political, technological and social themes throughout this world. I found inspiration from the word “deplorable” during the debates and felt it would be a great descriptor for the “sheeple” in the story. FAME: What was the biggest challeges you faced and most rewarding experiences in creating your films? Zinnicimo: Each animation presents it’s own set of difficulties and learning opportunities. The two films took six months each to create. For “Harvest Tales”, figuring out how to tie each song together to a political issue was challenging, yet fun. The most challenging part of making Harvest Tales was having to keep up with the media during the production. Having to hear absurdity of politics in the media was frustrating. The most rewarding part of making films is always comparing the original concept stories and art with the final product and sharing it with people. FAME: What do you want people do take away from watching your films? Zinnicimo: I hope the audience will have fun with both films. They are meant to take people away to different realities and get lost in the stories. 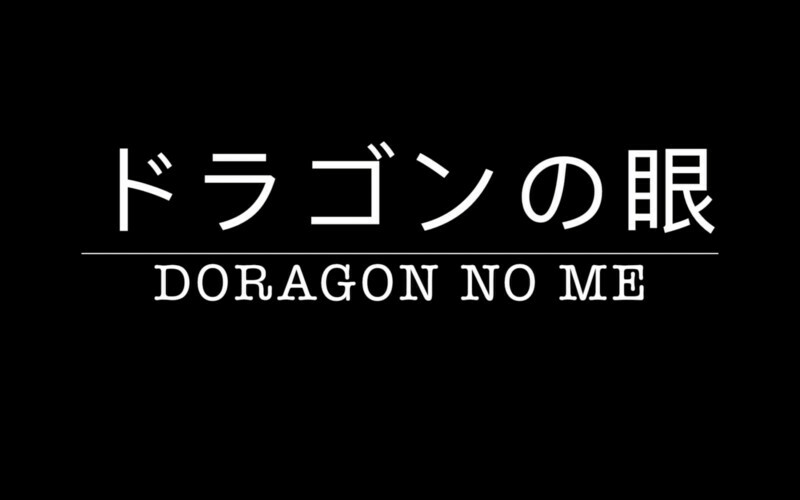 With “Doragon no me”, I hope the audience walks away thinking about the theme of revenge. At the end of it all, was your revenge on that individual really worth it? “Harvest Tales” Is a political statement and is meant to provoke people. Hopefully the viewers will reflect on the American Narrative currently happening. There’s too much hate and division in America. I hope people from all political affiliations can appreciate and connect to the meaning behind the symbolism. FAME:What have you learned from making these films that might be of value to aspiring filmmakers? Zinnicimo : I learned that it is very important to be in the moment while making an animation or any film. Having a script is great but allowing yourself the ability to be flexible to explore new ideas during filming. In my experience, the best ideas/shots came from being immersed in that world and just going with the flow with what the figures/actors/characters would naturally do. Patience is also another skill to pick up while filmmaking. It’s okay to make mistakes as long as you learn from them. 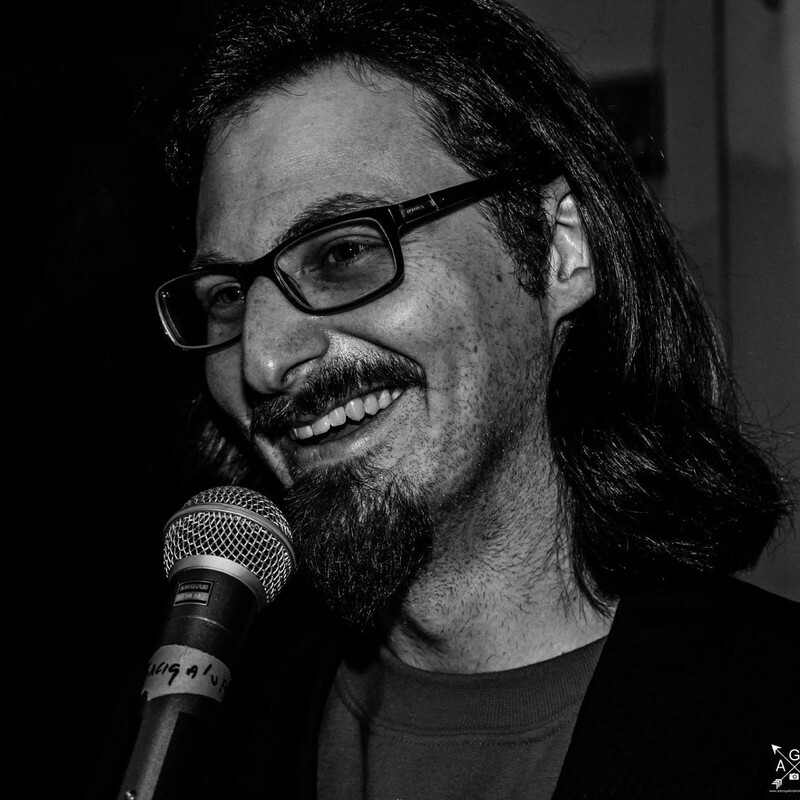 Zinnicimo : I am currently working on a few projects. I am finishing editing the last parts of a Four Part “Sci-fi” anthology that Brandon Schlia and I produced in July and will be releasing them August 27th through Zinnicimo Films and Steak and Cake Records. This fall, I am filming a live-action short with puppets and humans about inter-dimensional beings creating chaos in a small mountain town.